This may be the first in a semi-regular series of posts in which I briefly describe how I’ve come to re-evaluate a movie over time. 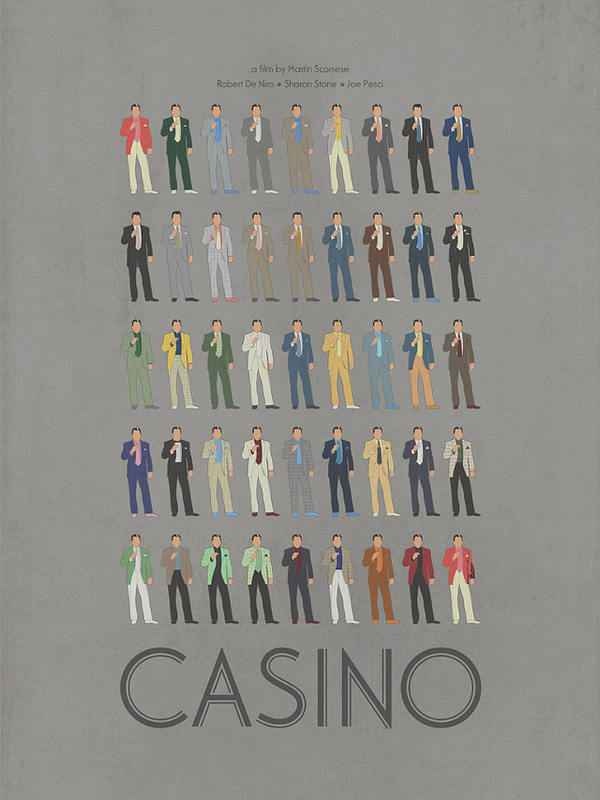 Out of all the films I used to feel ambivalent about but which I have since positively reappraised due to my immaculate angel of a wife’s having watched them over and over in front of me, none has risen more dramatically in my estimation than Martin Scorsese’s Casino. I first saw it during its original theatrical run in 1995 when I was 20-years-old. I left the theater feeling disappointed — mainly because it failed to live up to Goodfellas, the prior Scorsese movie that it seemed to most closely resemble. They both, after all, featured Robert DeNiro and Joe Pesci as mobsters, there were shocking bursts of violence, epic tracking shots, copious amounts of voice-over narration, healthy doses of black humor, eclectic soundtracks on which the Rolling Stones’ “Gimme Shelter” prominently featured, and so on. Comparisons were always going to be unavoidable. But what really rankled was the way Casino seemed to me like a gaudier, more Hollywood-ized version of Goodfellas — as if Scorsese and co-writer Nicholas Pileggi had taken some of the elements of their successful earlier film and re-shuffled them with the added commercial elements of a Las Vegas setting, a bigger budget and the star power of Sharon Stone (then one of Hollywood’s hottest commodities). While I did admire Casino for its impressive and undeniable cinematic value (it was the beginning of a fruitful collaboration between Scorsese and his now-longtime cinematographer Robert Richardson), I largely felt indifferent about it on the whole. Almost 20 years later, after revisiting the film many, many times (thanks, Jill!) on television and Blu-ray, all of my previous complaints have been swept aside and I now consider it one of Scorsese’s finest works. When I first saw it, one thing I didn’t quite understand was what Scorsese was up to in regards to the Las Vegas setting. I remember feeling back then that the quintessential “New York filmmaker” seemed out of his element “out west” and that, in spite of a few faux-documentary interludes, he didn’t seem to have much of an affinity for the gambling scene. (This is born out by the fact that, to this day, serious gamblers appear to prefer the 1998 poker film Rounders as their Vegas movie of choice.) I realize now that it was wrong of me to have expected the same kind of lovingly detailed views of Las Vegas as those of New York City that can be seen in Scorsese’s other films. For Scorsese, Las Vegas is primarily a metaphor: it’s a “paradise lost” to his gangster characters from “back East.” The notion that Sam “Ace” Rothstein and Nicky Santoro (the characters played by DeNiro and Pesci, respectively) had it all and then blew it is one of the ways in which the film poignantly shows the influence of one of Scorsese’s favorite movies, Raoul Walsh’s Prohibition-set masterpiece The Roaring Twenties. Both Scorsese and Walsh seem to be saying that no matter how violent, immoral and unconscionable the behavior of their characters might be, they were inextricably part of a colorful and exciting era that has since been replaced by something duller and more sanitized. The tone of each movie is therefore elegiac and bittersweet.